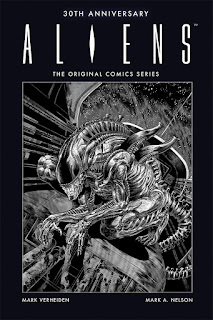 In 1988, Dark Horse’s Aliens comic debuted, with stunning art by Mark A. Nelson and a script by Mark Verheiden, taking the comics market by storm. 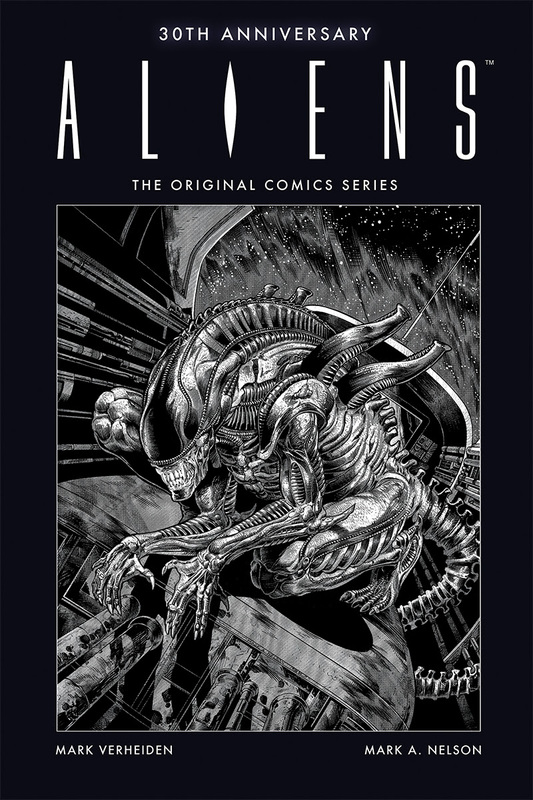 For the thirtieth anniversary of the Aliens film, Dark Horse and Twentieth Century Fox Consumer Products are releasing an oversized hardcover edition of the unabridged and unadulterated series! This must-have collector’s edition delivers 184 pages of original black-and-white art, each panel more horrifying than the last. In deep space, a salvage crew is attacked by seemingly unstoppable monsters. The marines are called in, but they need someone with experience. Soon Hicks (the horribly scarred survivor from Aliens) and Newt (now almost eighteen) find themselves on a mission to locate and destroy the aliens’ homeworld! This collection also marks the first major comics work by Mark Verheiden, who went on to write The Mask, Timecop, Battlestar Galactica, Daredevil, and many other films and television shows.